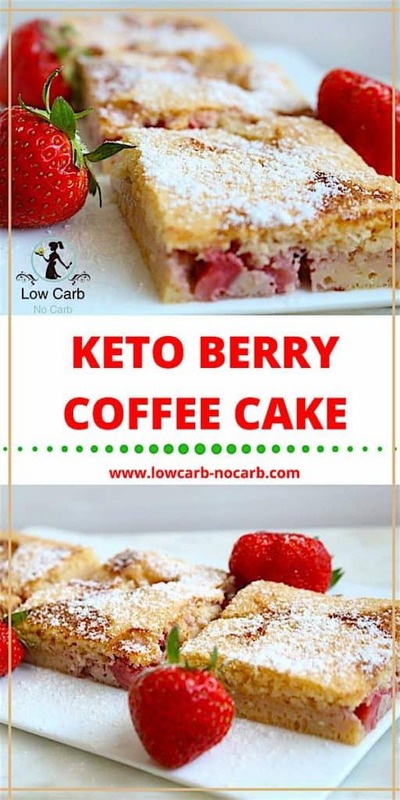 This Keto Berry Coffee Cake is soft from the inside and with a taste of whatever Berry you desire, it will make it unique, every time you bake it. 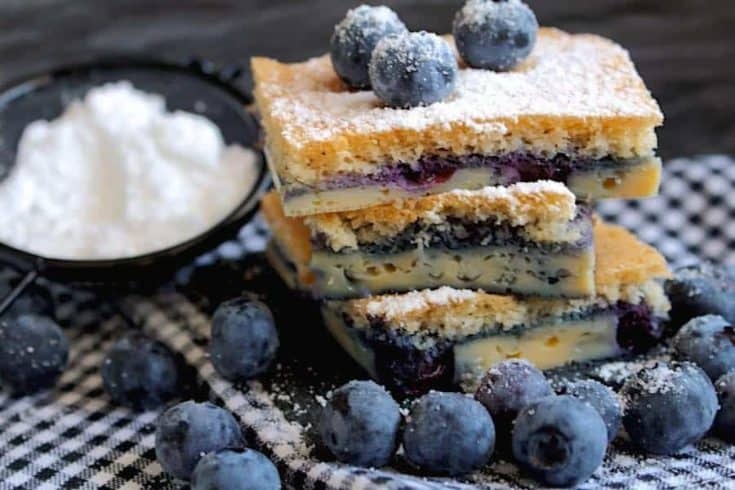 This Keto Berry Coffee Cake will always remind me of my childhood. Every time summer was approaching and all of the fruits started growing in the gardens, this cake was always a must. 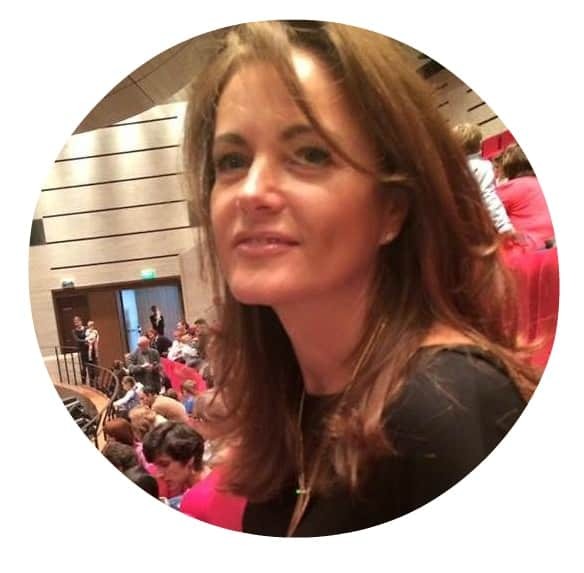 in every single family, every coffee shop you went to, every party you attended, every visit you were invited to. If you do have lots of fruits, you can as well try our Rainbow Chia Pudding, which is another great combination of Health and berries together. 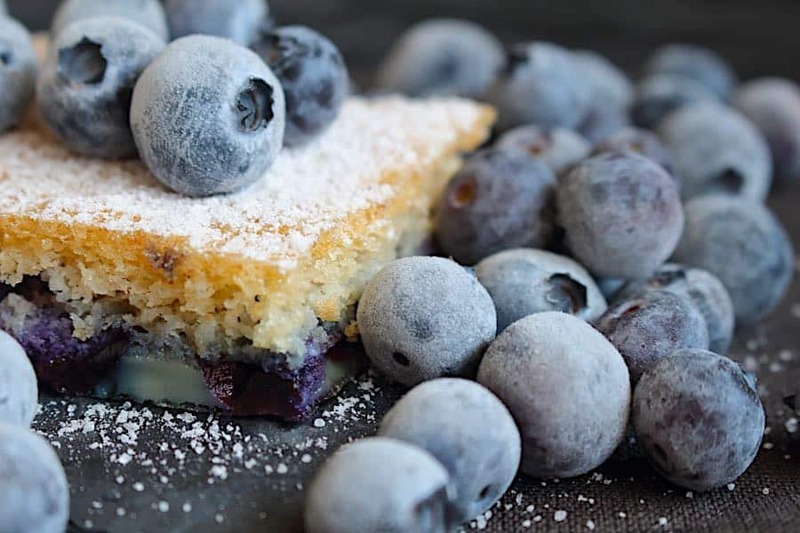 Or try our Wild Blueberries Keto Cheesecake. This was even my first cake I have learned how to make on my own as a kid. My mum once wrote a recipe for me when she had to leave for a few days, and since then it sticks to my head. And I guess I will never forget it. It used to be 6 eggs, 6TBS flower, 6TBS sugar (I know) and 2 TBs starch. And on top whatever fruits you desire. But at that time we had no idea of a Low Carb or Keto and being able to bake with nut flours. The only problem was to find the name in English. In my country, we call it Bublanina, which in translation would be kind of Bubble Cake, but if I will name that, I guess nobody will have a clue what I am talking about. So I have done some research and have realized, most of the Coffee Cakes looks pretty similar to this one. And therefore we have a Keto Berry Coffee Cake. As kids, we used to fight all the time who gets the biggest piece. And tell you, I have taken this cake (already a low Carb version) just last week to a friends house with 3 little kids and the smallest one of them kept eating and eating. I was really surprised how much is she able to have, but I guess because of this being so light and especially so yummy, it was a kind of winner in the kiddies world. And that is most of the time our aim. As long as our kids love it, we will make it over and over. But the uniqueness is also, that every time I bake it, it comes looking a bit different. It really depends on which kind of berries you add and also how much. I sometimes use frozen berries, which makes the cake again completely different. So imagination does not have borders and you can really experiment with it. 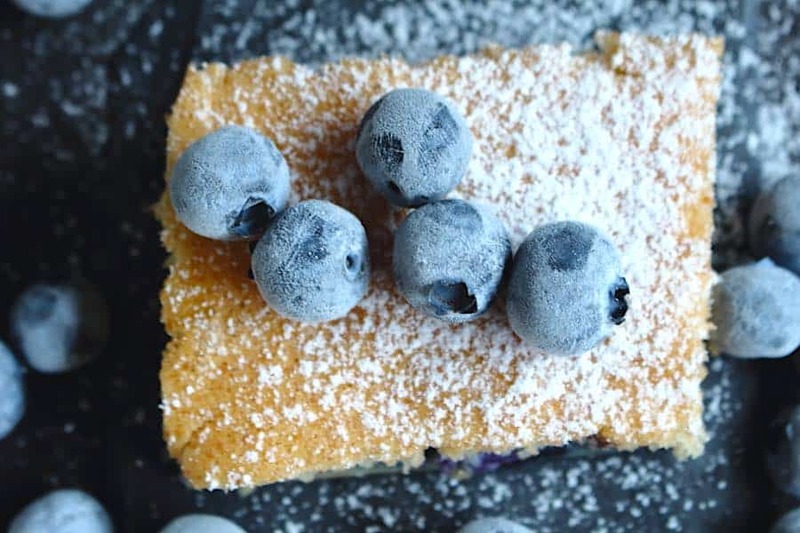 I now use only berries for the cake, since all of the other fruits are very high in sugar. 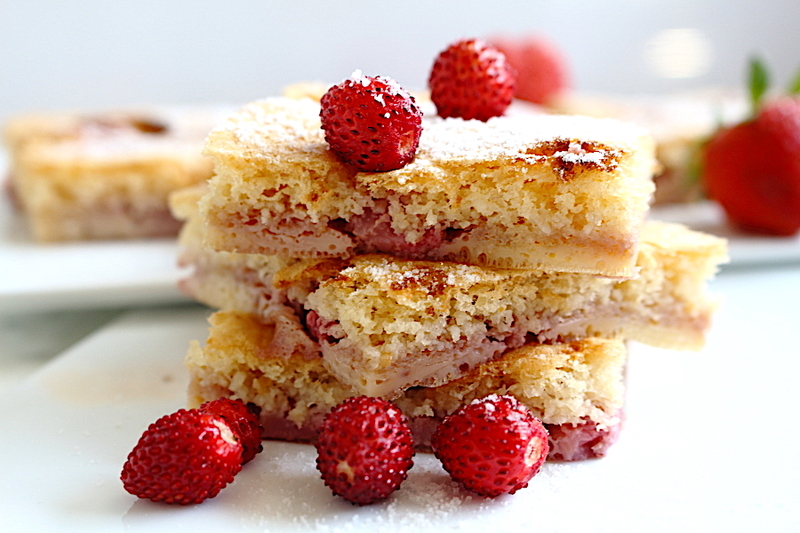 But even with berries, we have really a great option. 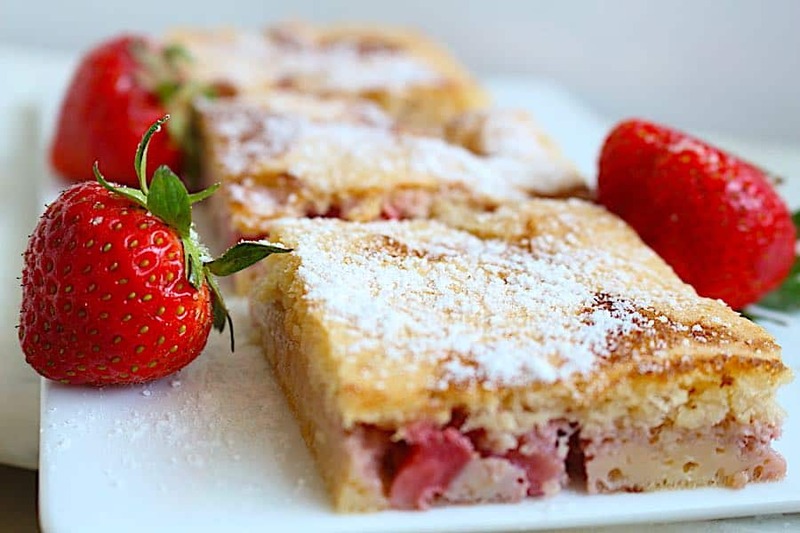 Except for berries, you can also use Rhubarb. This goes perfectly in combination with strawberries but alone will give it a nice sour taste. 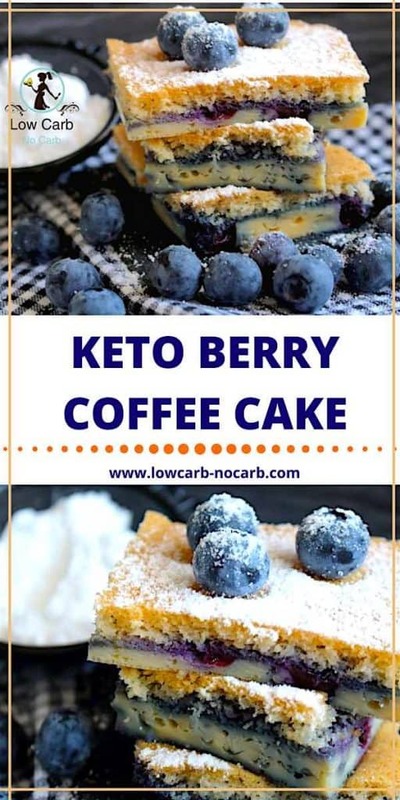 Keto Berry Coffee Cake is an easy and healthy choice to have either with your coffee or for kids running around the pool. Do let us know which one is your favorite. Do send us some pictures as well. We are looking forward. And if you wish to receive our new recipes right into your mailbox, do not forget to register with us. Is it 100 grams or 7 tablespoons?. When I weigh 100 grams it’s a lot more than 7 tbl s. Help! You are so right. I have just measured it again. I normally weigh everything in grams and if spoons, I do not level them. So it is 100g and 10 spoons. I just remembered it again. I will change it in the recipe as well. Thanks a lot for this. Can you tell me what size pan? I do have to say, that I am not 100% sure, because I do have sides of the pan, which you can resize to whatever size you need. So I have taken a normal Full-size baking tray and have placed the sites up to as big as I could have. So a bit less then a full size, I would say. Hello. Thank you for sharing this recipe. It is so easy. I was admiring the baking pan you were using in the video. Is that some type of spring form pan? It is a baking form, which can be adjusted to whatever size you want. I bought it ages ago in one of the shops. Unfortunately can not remember where exactly. But will try and find it in Amazon and will link it under the recipe. There is oil and water in the ingredient list, but not in the directions?? Thanks a lot for spotting that. On the video you can see, the water and oil are added as last once everything is mixed properly. I have also updated the recipe.